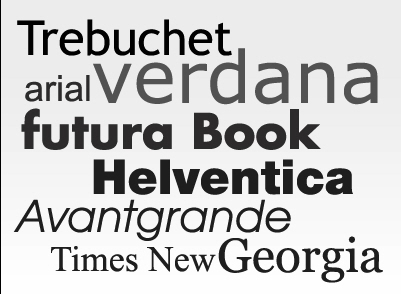 I came across a great article about choosing the right font for a project. Many times people can be distracted from your writing because of a bad font choice (or bad design). Here’s an article from Before & After that has some really good advice. Your design or font should never make it hard for your reader to actually read what you’ve written. Anyway, I thought you might like to have a look!